Why Should I Have a Real Estate Social Media Strategy? Real estate has seen a unique shift in the industry with the advent of the internet. Now, the first step in the home buying process for nearly all prospective buyers is a quick Google search. People are flocking to Zillow, Redfin, Trulia, and your competitor’s website to do their own research before ever consulting a real estate agent. Getting the customer’s attention now requires more care and creativity than ever. While this is true of other industries, it is especially important when your business operates in your local community. Competition is your middle name and getting your face in front of your city is your goal. What better way to find your clients than to be on the platforms they frequent most? Social media is no longer an option for nearly every industry. Now moving forward it is important to define your goals. A great well-defined goal is both specific and measurable. While exposure is great, your end goal is probably a conversion funnel. 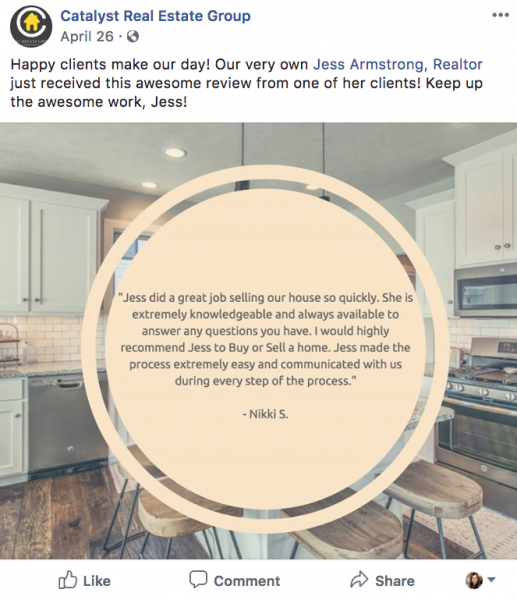 An effective real estate social media strategy can set business’s up with a pipeline to bring in new leads, nurture prospective ones, and follow up with past clients. You are nurturing a platform of people in varying stages of the sales funnel, so it is crucial to be aware of the segmentation in your audience. 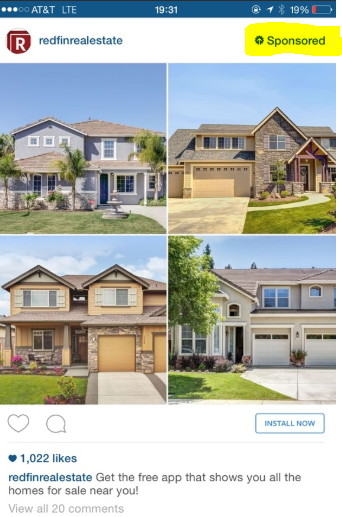 Get ahead of your competitors with an unbelievable real estate social media strategy. Dominating social media will have long lasting effects to your bottom line. Gain the edge in the market by employing the winning tactics we will discuss further. It really depends on what kind of real estate you conduct. For example, Snapchat and Instagram cater to a much younger audience than does Facebook and LinkedIn. However, Instagram and Facebook tend to be leading converters. Of course there are always exceptions. So you should try everything until you find what works. However, for your real estate social media strategy, Facebook and Instagram will be your go to. LinkedIn is also very helpful, especially if you are in commercial real estate or in any other B2B setting. Include your address, hours of operation & area of service on all account bios. Have plenty of calls to action on your page. Call Now, Schedule a Meeting, Website Link. You are trying to drive conversions over just traffic. Keep it professional. You are representing yourself with a personal account, so be aware of how you will be pictured by prospective clients when you post/share. Black hat tactics and gimmicks have little room in an effective real estate digital marketing strategy. Especially on standardized platforms like social media, they fall even more flat. People have an eye for quality and so do most social media search engine algorithms. High quality, useful content will always rise to the top. Content is king. It brings in visibility, gets people talking, and sells people on your brand. Traditional marketing focuses on attention grabbing while modern digital marketing focuses on providing the most value in a competitive market. As a real estate agent, you offer a service to your community and grow by becoming a figurehead in your town. Establishing yourself as someone who is vested in the community and engages in events will fare well in a public forum like social media. You are an expert in a process a ton of people will have to go through in their lifetime. Most people can benefit from the knowledge you have to share. Posting helpful articles regarding home buying and personal finance. Talking about the market in a thought piece on LinkedIn. Posting pictures/videos to promote community events. Doing live videos to give people and inside look on the business. You can even use social media to post listings with tons of high quality photography. Facebook supports panoramic & 3D views, which are especially beneficial to the real estate industry. Uploading photography of your past properties is also great way to show off your catalog of work. While this might not secure the sale, it also might, with the right audience. At worst it provides quality content that builds your profile. Proving your value to clients and peers through blogging will establish yourself as a thought leader of your industry. Regular blogging can do wonders for your real estate digital marketing strategy by helping capture more leads. Not only this, but consistent blogging on a plethora of topics sets up a pipeline to catch people in various stages of the sales funnel, from awareness to interested to decisive. What better place to promote your valuable blogs than social media? You can make posts about them or include links to them in your captions. But either way they serve as CTA’s to direct people to your website. You can even use social media to find the next topic to write on – whether it be through engagement or social listening tools. Another way to source material for your posts is posting user-generated content. This strategy is used across many industries to drive engagement and gain loyal followers. Oftentimes people will post on social media after the purchase or sale of a home. Repost their content! Reposting other people’s pictures/videos/posts (with permission of course) encourages others to do the same. And it shows that you’re more than a salesman. A spin on this would be to repost testimonials from past clients. This is a practice you should be using on your website. But like user-generated content, you will have to encourage your clients to engage with you. After a home buying process, it shouldn’t be too much to ask, and it will do wonders for your credibility. Facebook and Instagram’s algorithms do not simply feed you content from people you are following. Your content has to gain traction and get some immediate engagement to be deemed quality and rise to the top. It’s a positive feedback loop you can use to your advantage to boost your real estate social media strategy. Staying consistent is also key when posting content to social media. People find that inconsistent or far in between posts tend to lead in a drop in followers. You want to stay in your audience’s head if they are in the home buying process. Think about crafting a regular release schedule by testing what days and time most people are active on social media. If you get good at this, you can even look into automating the process with scheduled posts and content. If you think that staying on top of content release is a pain point for your real estate social media marketing strategy, you may want to look into hiring professionals. Our real estate specialists at LYFE Marketing have a wealth of experience building audiences for clients through regularly posted industry-specific content. While advertising doesn’t come with the same ROI as does quality content marketing, it can find its place as a supplement to an effective real estate social media strategy. Ads are a shorter term, higher cost approach to lead generation. All platforms operate similarly under a few principles. Facebook and Instagram use a Cost-Per-1,000 Impressions (CPM) while LinkedIn uses a CPM as well as a Cost-Per-Click (CPC) model. In both models you can set parameters on the target audience like age, location, etc. CPM – You are charged per 1000 people that will see your posts in the ad sections of Facebook and Instagram. CPC – Is a bit more cost effective because you only pay if someone clicks on your ad. It’s a good way to be budget friendly while still being effective. It is worth noting that after 2018 when many major companies, including Facebook, were scrutinized for privacy concerns, changes were to their advertisement system. Most behavioral targeting for ads has since been removed such as ‘likely to move’, ‘homeowners’, ‘home renters.’ The changes have affected the real estate industry substantially, but it is not out of the question. Social media is just an advanced customer relations management platform. A healthy social media account doesn’t just make posts. It comments on other posts, likes and shares quality content, replies to comments on their own posts, and most importantly, is responsive. Home buying is a big purchase for the average person. Also, someone typically has to come into contact with a product/service an upwards of 7 times before they are ready to convert. Social media provides the excellent platform for consistent visibility and engagement. Remember, one of the best use cases for social media is its messaging functionality. Never before have people been more willing to talk and share their opinion. If you have a decent following, think about posting questions or polls, or even get the conversation going on one of your articles. Because communication is so much more accessible on social media, you should expect a great deal of communication to be conducted there. Social media tends to be lighter than the average email. So don’t be afraid to follow up with quick messages if your client is on social media and willing. Remember how I said a good goal is both specific and measurable. It’s hard to gauge if a post is doing well if there is no metric to go buy. Thankfully Facebook provides analytics on posts, so you can see if you are hitting the nail on the head with customers. With a fine tooth comb, you can sort through your content to see what is resonating with who. You can see if reach is coming from organic searches, virality, or paid. With this information, it would be hard not to capitalize by fine tuning your posts moving forward. The best time to plant a tree was yesterday. The second best time is today. Social media, like most digital marketing, takes time to build a quality foundation. However, once established, social media will be your greatest after hours sales funnel that works for you. Now that you’ve read this, if you think your real estate social media strategy is due for a tune up or you simply would like industry-specialists to manage your social media accounts, reach out to us. We at LYFE Marketing want to help you reach your goals to establish yourself online. We offer growth services such as social media management where our specialists will consult with you on the direction you want to take your accounts and help you get there through live monitoring/engagement and smart posts. We also offer social media advertising services if that is what you think is missing from your real estate social media strategy. If you’ve nailed down an unbelievable real estate social media strategy, then think about venturing further with these highly effective approaches to a real estate digital marketing strategy.